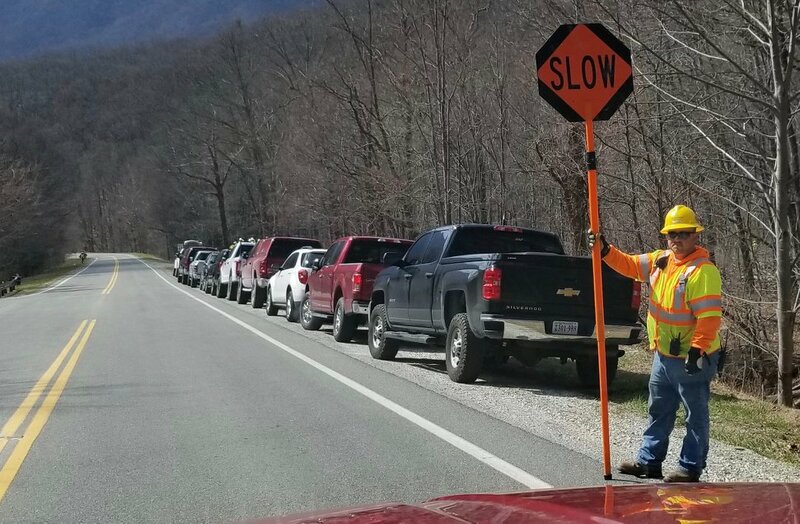 The all out-of-state work crew was back again on Wednesday March 7, 2018, for a second day of clear-cutting. Remember all those times when the Dominion folks talked about the ACP bringing jobs for Virginians? Not true. And remember all the Dominion PR that says we won’t even notice the pipeline is there? This clear-cut swath (and all the others like it), maintained as a clear-cut right-of-way for the life of the pipeline, will be glaringly visible. Being blinded by expected ACP profits, Dominion obviously thinks the rest of the world is blind to ACP damage! 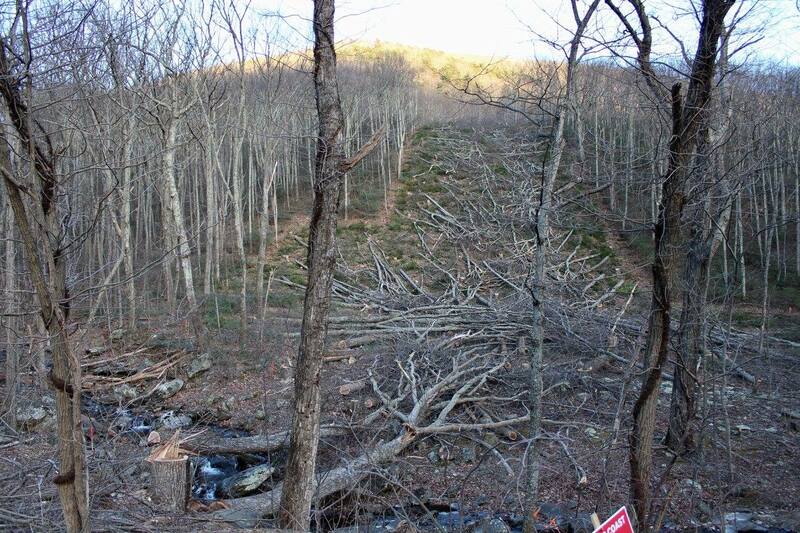 This entry was posted in Construction, Pipeline Route, Tree cutting on March 9, 2018 by Ellen Bouton.